Hugh Dibley was born in Hong Kong. His father was the chief engineer at the Royal Navy's Hong Kong Dockyard. He returned to England in 1939 just before the war and went to school first at Pinewood and then Marlborogh. Raised in a Naval environment, Hugh had no desire to go to sea but he joined the Navy hoping to get into the Fleet Air Arm. When this didn't happen, Hugh went into commercial aviation. In 1959 he started racing with an AC Aceca-Bristol that he bought from Ron Brightman. His first race was the Nottingham Sports Car Club Silverstone meeting. However in practice he was black flagged twice for wild driving and was notified that he wasn't exactly a welcome addition to the grid! 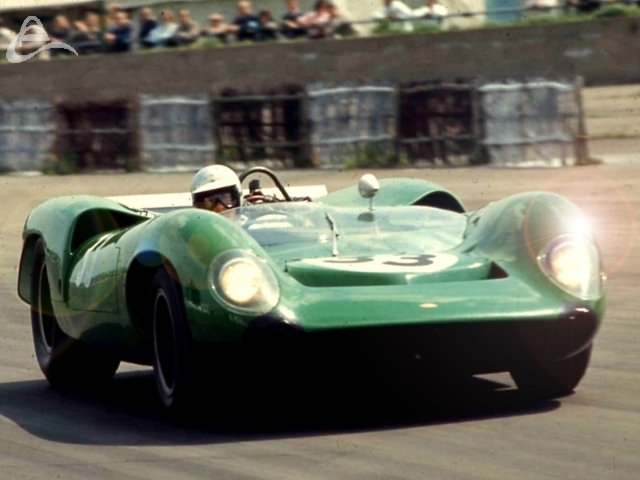 He managed three wins with the Bristol before moving up to the increasingly popular Formula Junior in 1963 with a Lola. For the 1961 season Scuderia Light Blue ran a Mk3 Lola for Hugh. Lotus was very much ruling the F Junior roost especially in the UK and results for the Mk3 were generally disappointing. Hugh managed a second at Goodwood in September and at the Lewis-Evans Trophy for Formula 1 cars at Brands Hatch in October the car, fitted with 1340 cc Ford Capri/Classic 109E engine, was running well before a wheel bearing seized and put him out on lap 12, thus ending Lola's first Formula One race. He did manage three wins in Formula Junior, including the first win ever for a rear engined Lola. In 1962 his flying gave him the opportunity to race overseas and at the Nassau Speed Week he won the Formula Junior Championship. 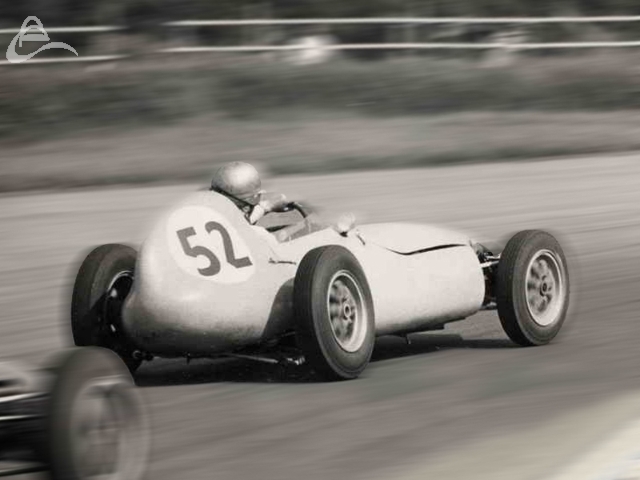 By 1963 Hugh's flying was interfering with his single seater ambitions and he realised that he would be better off in sports cars. 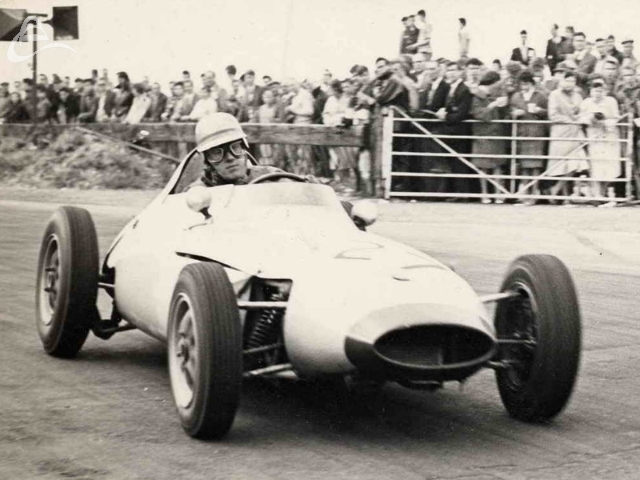 He purchased a Brabham BT8 with a 2.5 litre Climax engine, and with Stirling Moss renting his garage it was only natural to run the car under his SMART (Stirling Moss Automobile Racing Team) organisation. When he first drove the Brabham he found it frankly terrifying. The car was unnervingly unstable in a straight line. Hugh asked Jack Brabham himself to test it, after one lap he stepped out and told Hugh that it was undrivable. He told him to give it to Bruce McLaren to sort out. Within two months and some aerodynamic modifications the car was transformed and by July it was pretty competitive. Hugh entered it into the British Grand Prix Meeting. Their times were quicker than the 2.5 litre F1 lap record. As Hugh says "It got Stirling breathing a bit faster!" 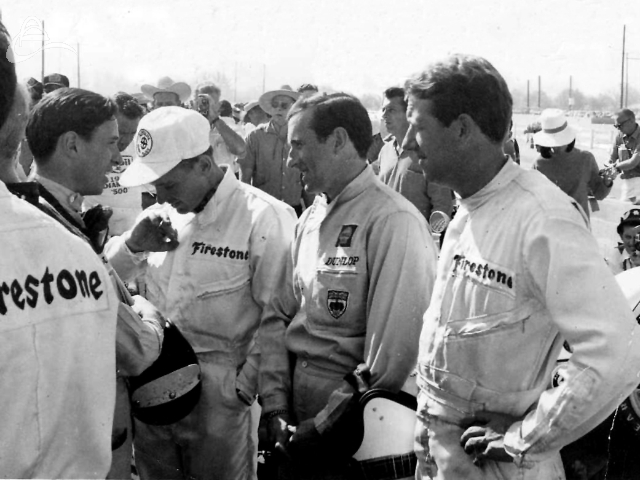 Hugh won the race ahead of the likes of Roy Salvadoori, Denny Hulme and Jackie Stewart. In 1964 he became the first person to lap Goodwood at over 100 mph. With the BT8 he took five wins and four lap records. 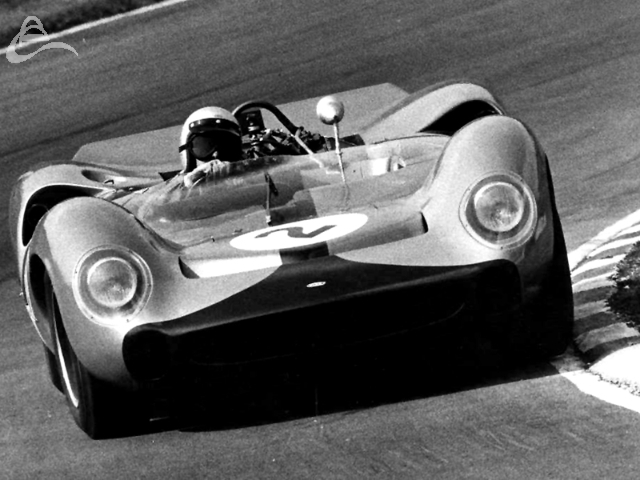 He drove in his first BOAC 500 mile race at Brands Hatch in David Piper's green Ferrari 250 LM driving with Roy Pierpoint. They won the over 2-litre Group 4 at an average speed of 85.96 mph. 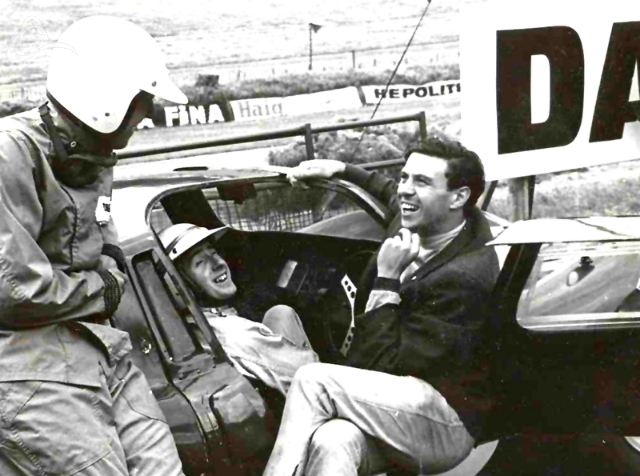 In 1968 at the BOAC 500 at Brands Hatch in April Hugh joined up with Dr Richard Thompson. Together they qualified the Howmet TX turbine car in seventh. In the race the wastegate problems struck again, sending Thompson into the bank at Druids after seven laps. Dibley then drove in the BRSCC 5000 Guineas Guards Spring Cup Meeting, Oulton Park at Oulton Park the following weekend. Here he qualified second, and was running in fourth place until he pitted for fuel, but the starter failed and there was no way he could rejoin. The following Friday Hugh drove the Turbine at Oulton Park. He qualified on the front row and was lying third when the engine refused to reignite after a pit stop. Next up Hugh drove in the AMOC 500 Martini Trophy at Silverstone in Mike de Udy's Porsche 906. Watkins Glen followed in July and was the next FIA Championship outing, and for the first time both TX's were raced, with Thompson/Heppenstall being joined by Hugh Dibley/Bob Tullius in the older car. The cars qualified 8th and 9th, and were running well in third and fourth places, until the final hour of the 6-hour race. Heppenstall and Thompson maintained third spot until the end, but the transmission of the Dibley/Tullius car broke, although they managed to cross the finish line and be classified 12th. The Le Mans 24 hours on 28/29th September turned out to be something of a disaster. After only three laps Thompson came back in to hand over to Heppenstall, feeling that his car wasn't quite right. A fuel system problem limited the engine to 70% power and strangled the speed on the straight. 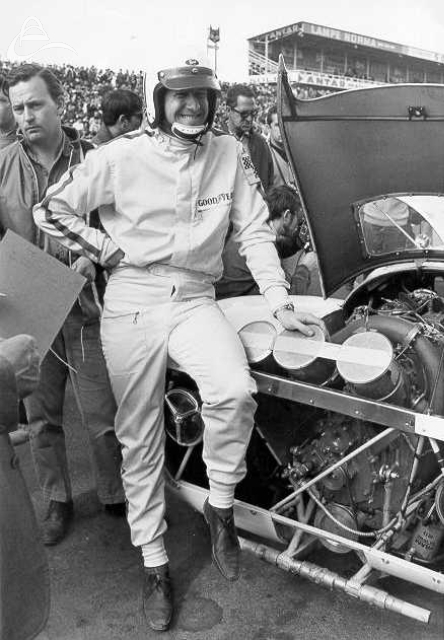 They kept going however, and had worked up to 29th place when, at 9.45pm, Thompson crashed at Indianapolis corner and rolled, severely damaging the car although being unhurt himself. A rear wheel bearing broke on the Tullius/Dibley car after less than two hours. Although repaired in a lengthy 3 hour rebuild, it was finally disqualified in the seventh hour having covered insufficient distance. Hugh was also helped start Palliser racing cars with Len Wilmhurst. It started out as a sideline but in 1968 due to interest in the States they went into limited production. Palliser built three cars in 1968, all sold to the US for FB racing. In October of that year they moved to 65 North Street, Clapham, London and formed Palliser Racing Design Ltd with Dibley, Wimhurst and Bob Winkelmann as directors. By the end of 1969, they had built 42 FFs and 6 FBs all of which went to the US. In 1970, they built 50 more FFs, three more FBs and a prototype Super Vee and Formula Atlantic. They ran a couple of cars in the UK: a works FF for Peter Lamplough and a F3 loaner to Roger Keele. Bob Evans became the first UK private owner and several more were sold. For 1971, Palliser offered four designs: the WDF3 FF; the WDB3 for Atlantic, FB, F2 and F3; the FSV; and the monocoque Daren sports. Wimhurst was also said to have a monocoque F2 on the drawing board; the design for the Franklen was still current and a F2-chassised hill climb car was being built for Mike McDowell. Schuppan drove a F Atlantic and won the 1971 championship with it. Finally, Palliser folded in early 1972 due to cash flow problems. Wimhurst built a Palliser 742 FF2000 in 1974 and it is this car that became The Old Nail. Hugh is currently Chairman of the Royal Aeronautical Society, Toulouse Branch and is one of the main simulator instructors for the Airbus. hr with thanks to Hugh.